Modern consumers are becoming increasingly aware of the impact that their beverage choices can have on prominent social and environmental issues, and as such, brands have an opportunity to differentiate themselves by appealing to the ethical values of shoppers. In this issue of Inside Drinks Market Focus, we take a look at a new limited-edition craft beer, which is rich in botanical ingredients thought to alleviate menopausal symptoms caused by hormonal changes and investigate the impact that tax and price increases have on the consumption of unhealthy drinks. 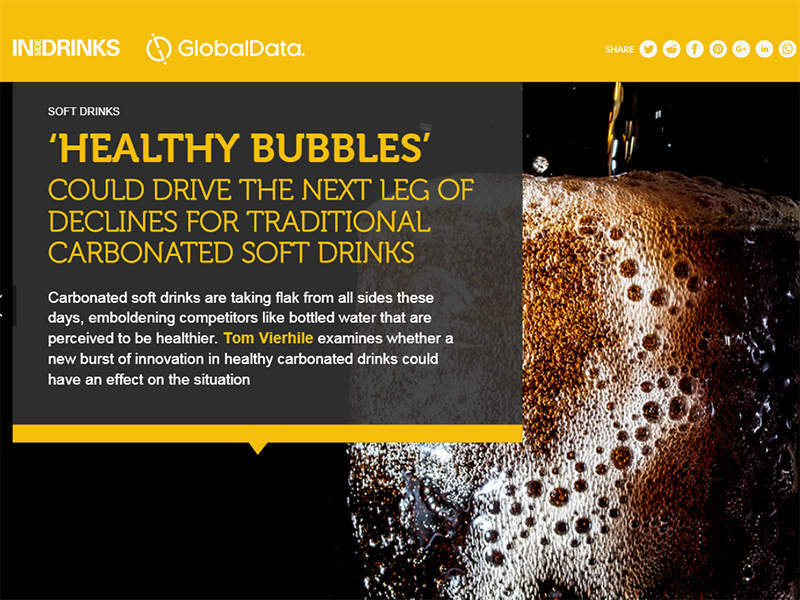 In other news from GlobalData, we find out if a new burst of innovation in healthy carbonated drinks could drive the next leg of declines for traditional carbonated soft drinks and examine ways that bottled water brands can utilise innovation opportunities to target a new wave of consumers looking for healthier beverages that do not compromise on functionality of flavour. Plus, we explore the appeal of new generation of high-ABV products, which offer consumers twice the alcohol content of ‘regular’ beer or flavoured alcoholic beverages and discover how spotlighting ethical credentials can help brands to establish a premium product position. Inside Drinks Market Focus is now available to read on all digital devices, bringing you the latest in-depth analysis from GlobalData across a variety of platforms. You can also continue to read your free copy in our web viewer and join the conversation on Twitter. Menopause is a natural part of the ageing process that women do not necessarily look forward to. 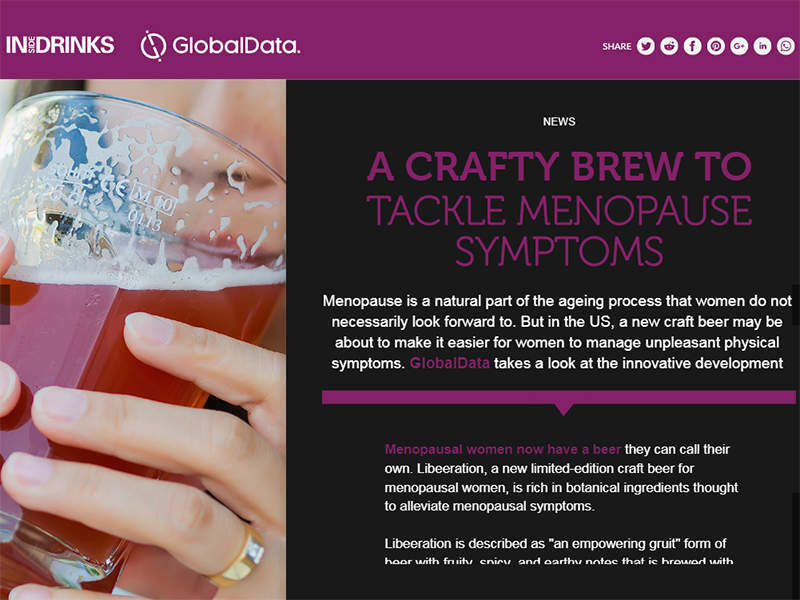 But in the US, a new craft beer may be about to make it easier for women to manage unpleasant physical symptoms. GlobalData takes a look at the innovative development. Amidst growing health concerns, calls to raise the price of ‘unhealthy’ beverages have increased. 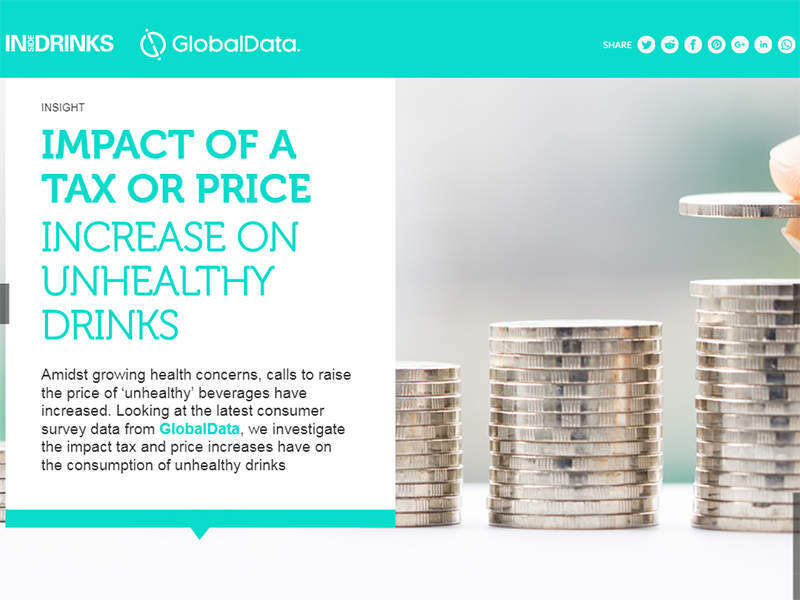 Looking at the latest consumer survey data from GlobalData, we investigate the impact tax and price increases have on their consumption of unhealthy drinks. Carbonated soft drinks are taking flak from all sides these days, emboldening competitors like bottled water that are perceived to be more healthful. Tom Vierhile examines whether a new burst of innovation in healthy carbonated drinks could have an effect on the situation. As consumers continue to turn away from traditional soft drinks in favour of low-sugar alternatives, could bottled water fill the gap with ‘healthier’ offerings? 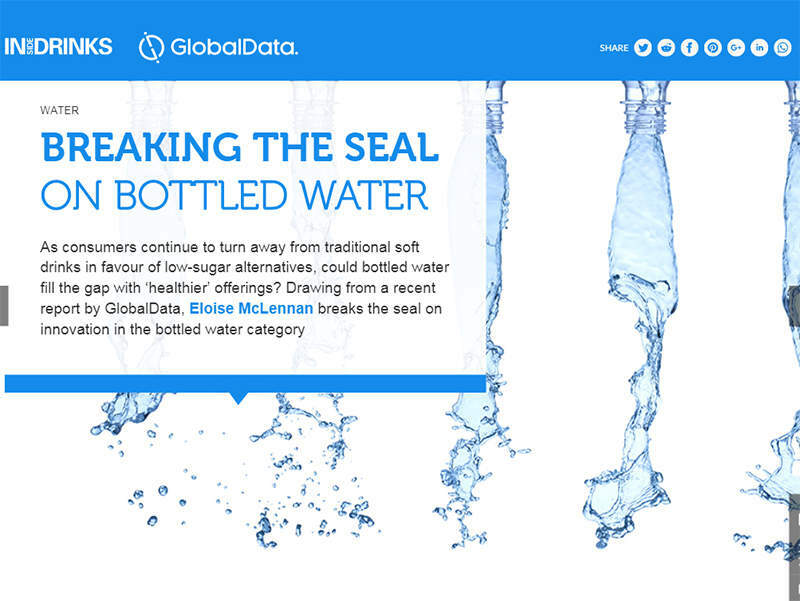 Drawing from a recent report by GlobalData, Eloise McLennan breaks the seal on innovation in the bottled water category. Tired of losing sales to higher alcohol beverages like spirits and wine, brewers of beer and flavoured alcoholic beverages seem to be saying: “if you can’t beat them, join them.” Tom Vierhile examines a new generation of high-ABV product that offers consumers twice the alcohol content or more of ‘regular’ products. Modern consumers seek more depth and meaning in their consumption choices. As such, ethicality can have an empowering effect on prestige brands. 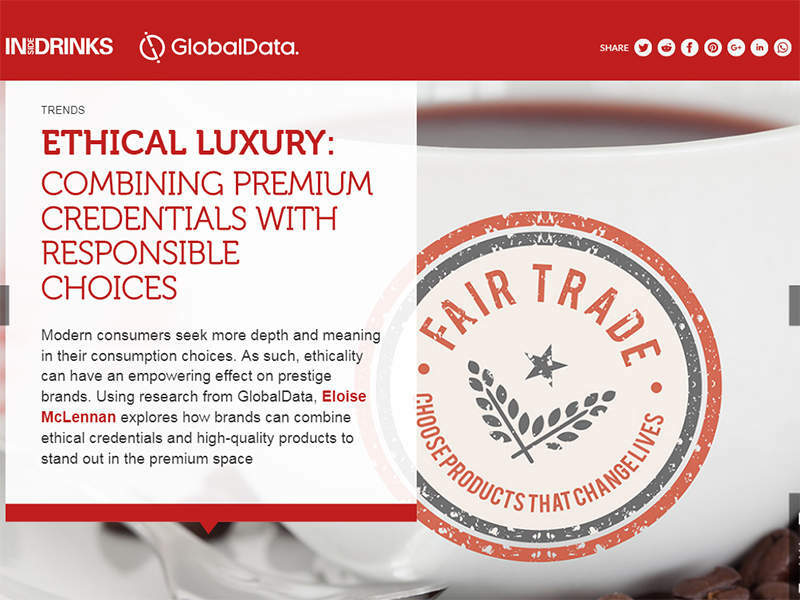 Using research from GlobalData, Eloise McLennan explores how brands can combine ethical credentials and high-quality products to stand out in the premium space. We’re excited to announce that we will be merging Inside Drinks Market Focus with the regular edition of Inside Drinks to provide you with a wider range of content from the next issue onwards. The new format of the magazine will be published bi-monthly from July, and as always you will be able to access all of our content on any digital device. In the next issue, we’ll bring you all the latest analysis from GlobalData, including information on plastics waste in the beverage industry and self-service beverage technology, explore prominent consumer trends and find out more about major industry developments. All this, plus, ingredient and innovation content from Inside Drinks. 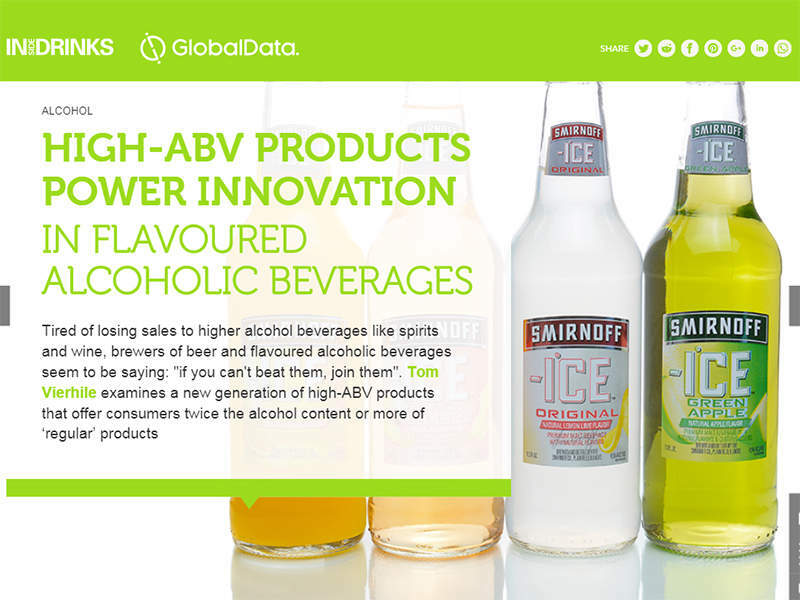 GlobalData is a research specialist providing unique and market leading data and insights into the international soft drink and alcoholic beverage industries. With in-depth analysis and a highly detailed database at your fingertips, the GlobalData Intelligence Center enables you to make informed and strategic decisions for your organisation in an ever-changing and highly competitive market. GlobalData’s coverage is unrivalled in its depth, geographic scope and local insights.